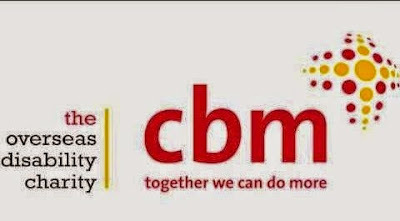 CBM is an international development organisation whose primary purpose is to improve the quality of life of the world's poorest persons with disabilities and those at risk of disability. CBM works with partner organisations in low-income countries to develop and ensure that persons with disabilities and their families have ready access to affordable and comprehensive health care and rehabilitation programmes, quality education programmes, and livelihood opportunities. Working with persons with disabilities, CBM advocates for their inclusion in all aspects of society, and for the inclusion of disability in international cooperation. Reporting to the Programme Manager, the Senior Programme Officer - Quality and Reporting shall be the CO's main point person for 1) the design and availability of effective monitoring systems used by CBM partners and Programme staff for measuring effectiveness of CBM's Country Plan and supported projects 2) related evaluation processes 3) the provision of advice on the application of CBM's reporting system 4) enabling the use of evidence for effective advocacy as outlined in the Country Plan. In addition the job holder will advise and contribute to programme effectiveness framework and learning, including the design, collation, analysis and application of programme learning among CBM staff and partners. Identification, internalization, documention and sharing of new knowledge in monitoring and evaluation, project lessons learned and other learning with relevant CBM colleagues and partners in the spirit of making CBM a learning organization, and even beyond. Ensure the timely production and availability of high-quality CO reports to internal and external stakeholders. Active member of a solid and compact highly productive CBM Indonesia programme team as well as office-wide team (shared responsibility). Proactively contribute to staff meetings, learning process, workshops etc. CBM is a child-safe organization. The future job holder adheres to CBM's staff commitments and CBM's Child Safeguarding Policy; he or she must be able to provide a certificate of good conduct or equivalent. Candidates are invited to submit their CV, cover letter outlining how they fit the position requirements and salary expectations in a pdf file to Indonesia.Recruitment@cbm.org. Applications not fulfilling these requirements will not be considered. Deadline for applications is 30 September 2016. Only short-listed candidates will be notified. Interviews will be held between 7-18 October 2016.